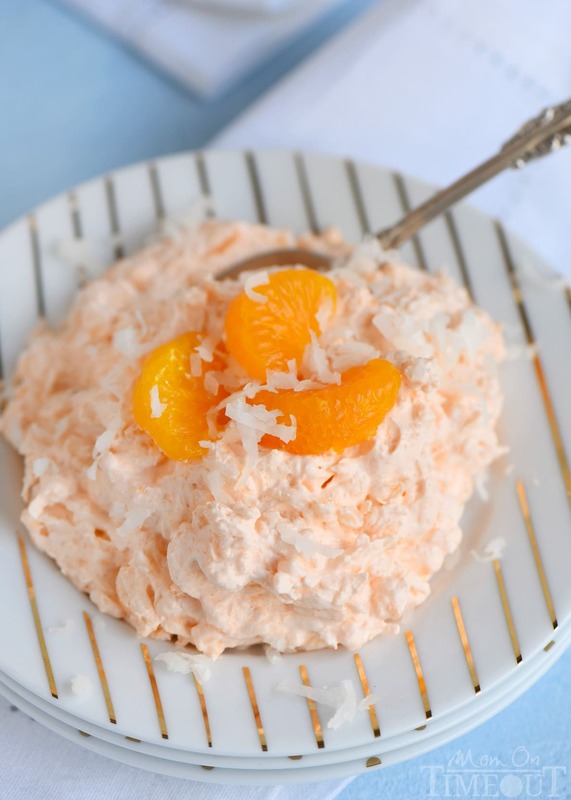 The refreshing flavors of orange, pineapple and coconut pair beautifully in this easy to make, one-bowl Tropical Orange Jello Salad! Great for parties, BBQs and picnics! My little sister flew home to Virginia this past Tuesday. It’s tough because we only get to see her once a year and the boys get really attached to her during that time. Ashley is the “fun” aunt for sure 🙂 She’s a teacher so she really loves kids – especially her two nephews. We had so much fun with her over the past two weeks. 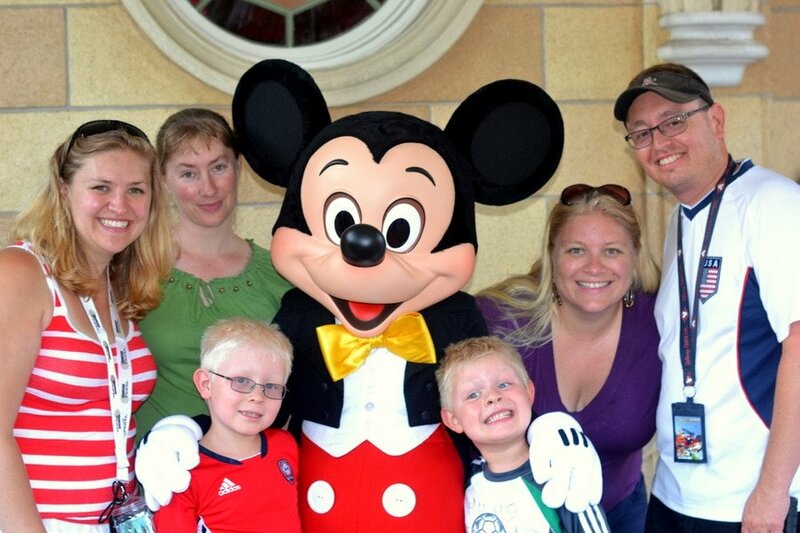 We went to Disneyland, the California State Fair, up to the lake to go swimming, bowling, the movies and so much more. She was able to watch a swim meet, watch swim practices and catch Reece working his magic at skateboarding camp. Her vacation was topped off with a really amazing time at my Uncle Tim’s house where all of the girl cousins from my mom’s side of the family were together for the first time in forever. 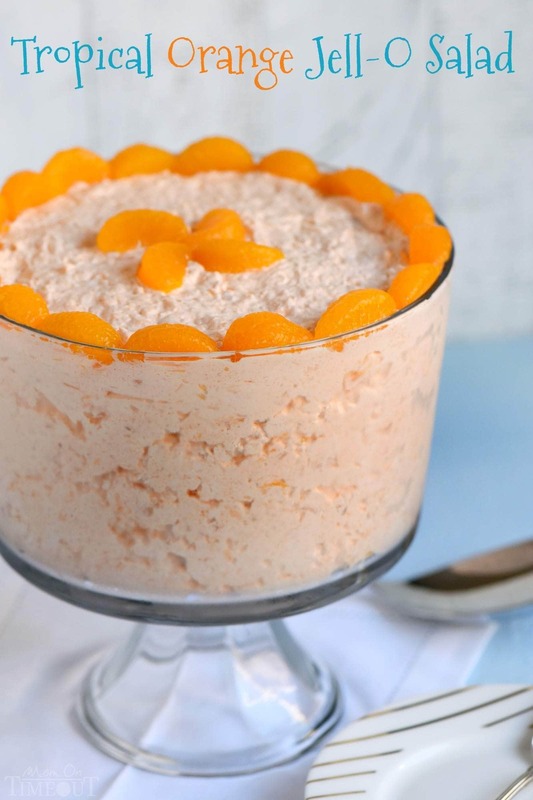 I decided to bring a 7-layer dip and a twist on my grandma’s orange jello salad. 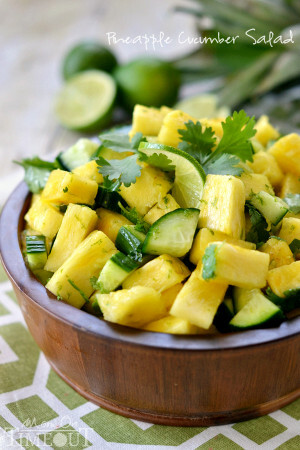 I went tropical with this salad and it had everyone wondering why it tasted so good 🙂 Pineapple and coconut my friends. Orange is their good friend and the flavors pair beautifully together to create this wonderfully refreshing salad. I know some people are like “Ewww! Cottage cheese?” But trust me, it really works. Just make sure you get the small curd – it really makes a difference. 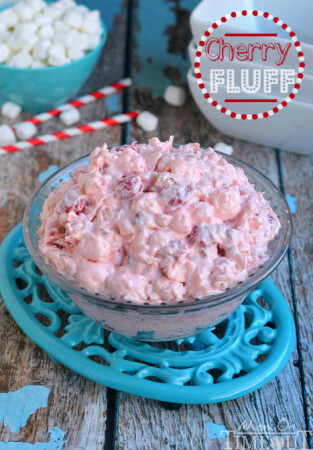 Now, this recipe makes a lot so feel free to halve the recipe if you’re not making it for a party 🙂 It’s an easy recipe to scale down and makes a delicious salad or light dessert after dinner. Enjoy! 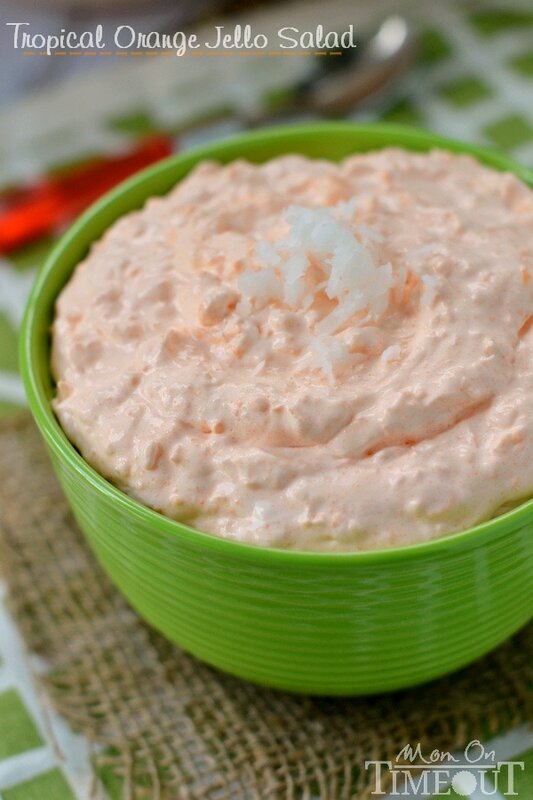 Mix pineapple, Jell-O and cottage cheese together in a large bowl. Fold in Cool Whip and coconut. I want to make this salad but , like Carolyn I was wondering about the water ?? 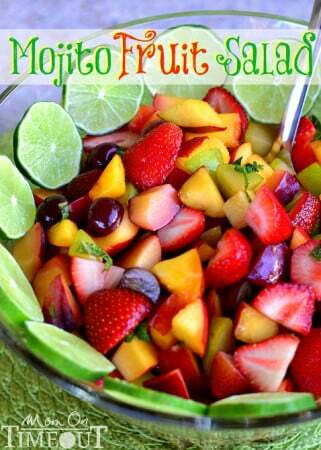 When you make the tropical orange jello salad, is the jello mixed with hot water first? Directions don’t say to, but I’m just double-checking. I grew up on a similar jello salad. 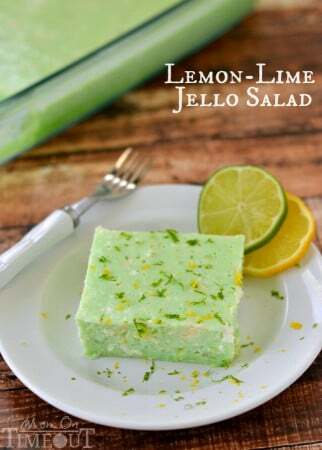 We used lime jello but we mixed it with water, then added pineapple and cottage cheese. Then is set to a soft hold. Mix in cool whip. Let set over night. It’s not a holiday without this salad. The lime green is the best color in the world because I know how good it tastes!!! I love this! 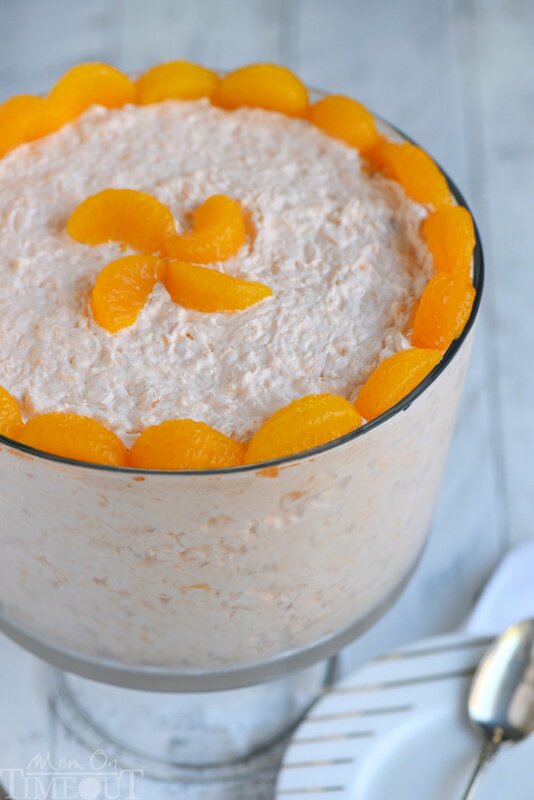 I add drained mandarin orange slices (maybe 2 cans for this amount), and chopped pecans or walnuts! Delicious! Sounds perfect Sandi! So glad you enjoyed the recipe!